AFRICANGLOBE – Sometimes you make a decision, and it ends up turning out great. Other times, you might look back and say, “oh, that wasn’t the best outcome, but still, not too shabby.” Then there are the decisions where it becomes clear very quickly that you made the wrong choice. 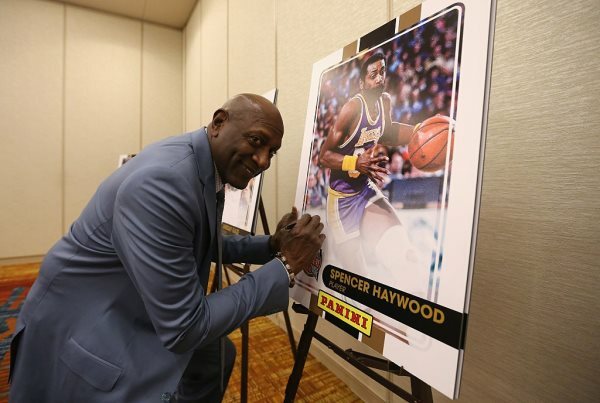 For Spencer Haywood, that choice cost him a LOT of money.$8.6 billion, to be exact. The former ABA and NBA star was thought to be a valuable player coming out of college, and understandably so: he had averaged 32.1 points and an NCAA-leading 21.5 rebounds per game as a sophomore at the University of Detroit, his final year in college. Thanks to NBA rules, Haywood was not allowed to enter the league as a sophomore, so he joined the Denver Rockets of the ABA. In one season with the Rockets, he averaged 30 points and 19.5 rebounds per game. After that season, he was signed by the Seattle Supersonics, and since he was still ineligible, he was part of an anti-trust suit with the NBA, eventually winning and being able to play in the league. It was around this time that Haywood was approached by Nike, then an upstart shoe company. They had an offer for him: $100,000 or a 10% stake in the company to promote their shoes. In an ultimate example of an agent royally screwing a player, Haywood’s agent strongly urged Haywood to take the money now, rather than investing in the young company. Nike had formed as Blue Ribbon Sports back in 1964, and only became Nike in 1971, so it’s understandable why Haywood took the money instead of company shares. However, that move backfired completely. Haywood went on to have a fairly successful career, winning a title with the Los Angeles Lakers in 1980. Towards the end of his playing days, he became addicted to cocaine, and was actually dismissed from the Lakers for falling asleep during a practice because of his addiction. Nike, meanwhile, continued to grow and thrive as a company, endorsing more players throughout the sports world, branching out into athletic apparel, and generally being very successful. Naturally, that led to an increase in their value. Today, they’re worth $86.2 billion. 10 percent of that, or what would have been Haywood’s share, is $8.6 billion. It’s not all bad for Haywood, though. He was inducted into the Basketball Hall of Fame this past September, and says the best decision he ever made was getting sober 29 years ago. Still, it’s gotta be hard not to think of what could have been.